Home - PC Works Plus, Inc. Does your business have compliance requirements, such as HIPAA or PCI? Let us give you a free evaluation to determine the cyber security framework that meets your compliance needs. Audits can be costly. Don’t be caught without a current Risk Assessment. 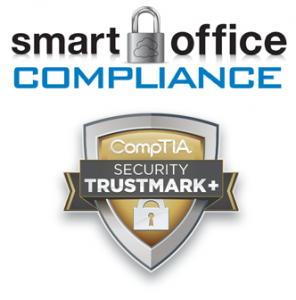 Call 814-742-9750 or email compliance@pcworksplus.com for your evaluation. Special Offer – Receive a free 30 Minute On-site Security Awareness Training (SAT) for your business. Contact us to see if you qualify. Your Virtual CIO and IT Department, allowing you to focus on running your business, not your technology. Customers can pay invoices by credit card or ACH online. Please log in with your customer service portal credentials. Exclusive whole office solution with remote and onsite service, help desk, email management and administration, business phone systems, cloud computing and security. There is no reason a temporary setback should turn into a permanent failure , if you protect your organization before disaster strikes. The first step is to create a Disaster Recovery, or Business Continuity Plan. We can help get you started right away. Migrating to O365 can be a challenge. Let us help with your migration. From Private Cloud to remote Cloud, we can set your business to run from anywhere at any time.